In the heart of the Balti Triangle was a popular restaurant called Sher Khan and, as the photo shows, it is now in the act of disappearing having remained derelict for a number of years. One of the slightly ‘posher’ baltihouses, it used to be opposite another longstanding favourite, the ‘Grand Tandoori’. 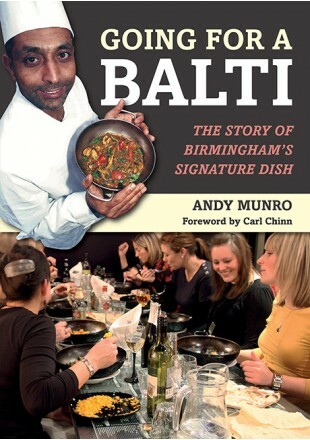 It was famous for its ‘Balti Aphrodisiac’ now still available at Al Frash where the chef eventually moved. However the main front of house man was a young well built lad called Jimmy who was a real character and could often be seen in an open topped sportscar driving around the area. He disappeared suddenly rumoured to have been sent to Pakistan for some ‘corrective’ treatment to try and bring him to heel. Sher Khan’s other claim to fame was winning a giant balti eating contest held at the nearby then Norman Chamberlain College, an event that raised a substantial sum for Children in Need written as a cheque on the back of one of the restaurant’s giant naans! A restaurant gone but not forgotten.